Upgrade your 60 watt halogen track head with the energy-efficient alternative of this black pinch back LED track head with 36 degree beam angle. This black LED track head has a distinguishing pinch back design. 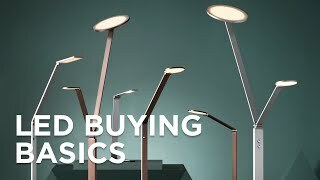 It uses 12 watts of energy while providing a light output of 820 lumens - comparable to the light output of a 60 watt halogen light - which makes it a great energy-efficient choice. Dimmable with LED rated dimmers. For use on Halo track systems. Head is 2 1/4" wide and 3 1/4" high, with a 5" extension. Integral dimmable pinch back LED track light head uses 12 watts of energy. 120V.